In 1943, Norman Rockwell was permitted to roam the Executive Wing of the White House. His drawings perfectly capture the “dignified informality” of the era. In 1943, Norman Rockwell was permitted to roam the Executive Wing of the White House. His drawings perfectly capture the “dignified informality” of the era. Click on the image below to see the complete four-page spread. 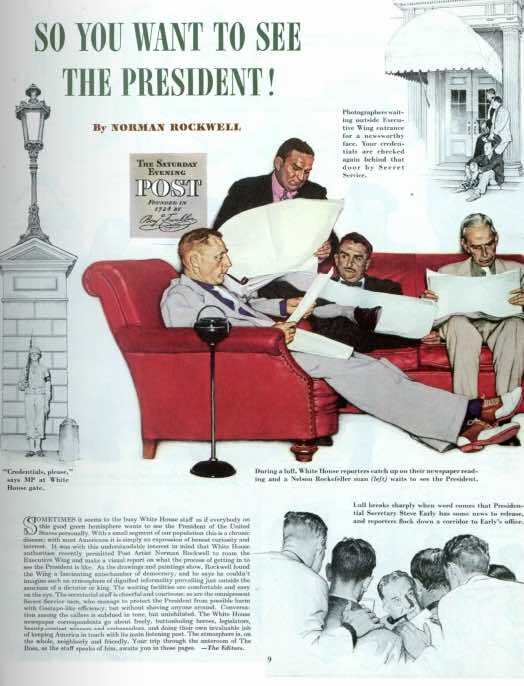 See Norman Rockwell’s illustrations of the Executive Wing of the White House from the November 13, 1943 issue of The Saturday Evening Post.